Katja Hekkala. With over 20 years’ experience in hospitality and travel industries, working in luxury hotels in Portugal, Madeira, Sweden and Norway, Katja Hekkala is a highly accomplished professional, valued for her extensive sales and marketing experience and is superbly well positioned to head up the team at Anantara’s first European property. ANANTARA as a brand stands for « indigenous», so at the ANANTARA Vilamoura Algarve, the guests will be immersed into the Portuguese and Algarve Culture in every sense. It was launched on the 1st April 2017 and is the first property in Europe of our prestigious ANANTARA brand. The resort brings to life Anantara’s ethos of connecting modern travelers with authentic destinations and ensures the brand’s signature Thai hospitality is paired with indigenous style and flavor. The strategy is to offer an all integrated resort with unparalleled facilities for all travelers such as Families, honeymooners, wellness, beach lovers, gastronomic aficionados, Golfers all delivered in an authentic Luxury way. Debuting Anantara’s authentic luxury in Europe from 1 April 2017, Anantara Vilamoura Algarve Resortoffers a landmark of quiet prestige, along southern Portugal’s picturesque Algarve coast. 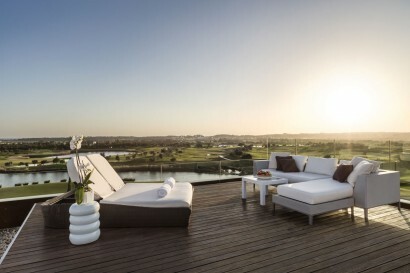 Immerse in Vilamoura’s glamour from a tranquil retreat, overlooking the Oceanico Victoria golf course. Revealing a journey of local artistry, the hotel’s sculptures, art work, paintings and installations create a contemporary Portuguese gallery. Signature luxuries embrace you in spacious rooms, indulgent suites and penthouse prestige. 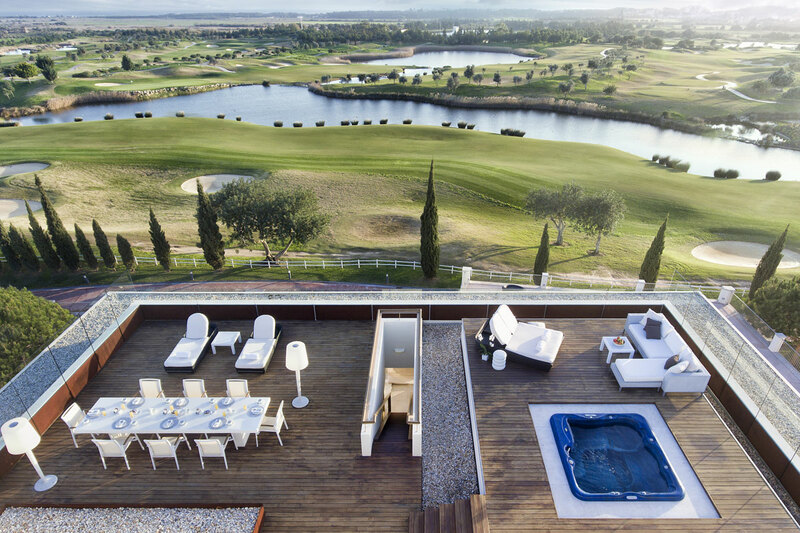 Relax on elegant terraces, refreshed by rolling golf greens and cerulean pools. Feel renewed by spa pampering that draws on healing Algarvian traditions, exploring a unique Ayurvedic philosophy that is exclusive in the region. Drift between five beautiful pools. World-class facilities welcome families with fun dining, creative clubs for kids and teens. Poolside Champagne cabanas refresh relaxation with decadence. Emotive fine dining fuses Portugal’s spice trading discoveries. Al fresco decks romantic ises undowners. Wine Guru journeys swirl stories oflocal heritage vines. Love and family celebrations are tailored impeccably with Dining by Design. Just moments from golf-side tranquillity, Vilamoura is an energising celebrity enclave of desirable boutiques and glittering nightlife. Sunshine glows on golden beaches. Vilamoura Marina is the place to see, be seen and embark on sailing voyages. The Algarve’s zest flourishes as you explore wineries, olive groves and luminous fleur de sel fields. Time spent at the golf club on ourdoor step, and over 30 nearby courses, is seam lessly arranged by our Golf Guru. Unparalleled Location – First European property of the prestigious ANANTARA Luxury Brand located in Vilamoura – Algarve – Portugal which will be launched in April 2017. 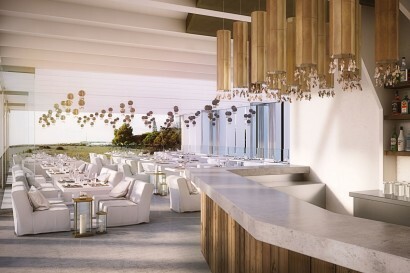 It has an unparalleled location in Vilamoura renowned by the recently awarded Marina “Best Marina in Europe” and directly connected with the Iconic Victoria Golf Course designed by Arnold Palmer which holds the Portugal Masters for 10 years in a row. 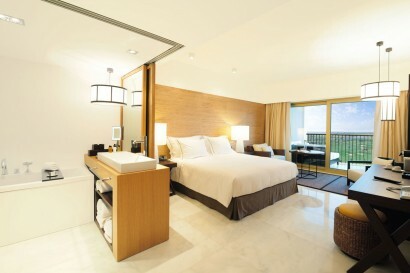 Unique Facilities – All Integrated Resort offering luxurious accommodation options perfect for Couples (Honeymooners), Families, Golfers, Beach and Gastronomic lovers. Apart from the In house resort leisure facilities, which includes three designed outdoor pools, being one for adults only, Children’s Club covering Crèche, Kids club & Teens Club in a joint venture with the renowned “World Wide Kids Company”, first ANANTARA Wellness Spa in Europe, the guests will also have at their disposal a free Shuttle to the Vilamoura beach where the resort has a private beach concession with luxury sunbeds, shades and beach restaurant. The Unmatched Indigenous Service – The core value of the ANANTARA brand is the Indigenous Experience. 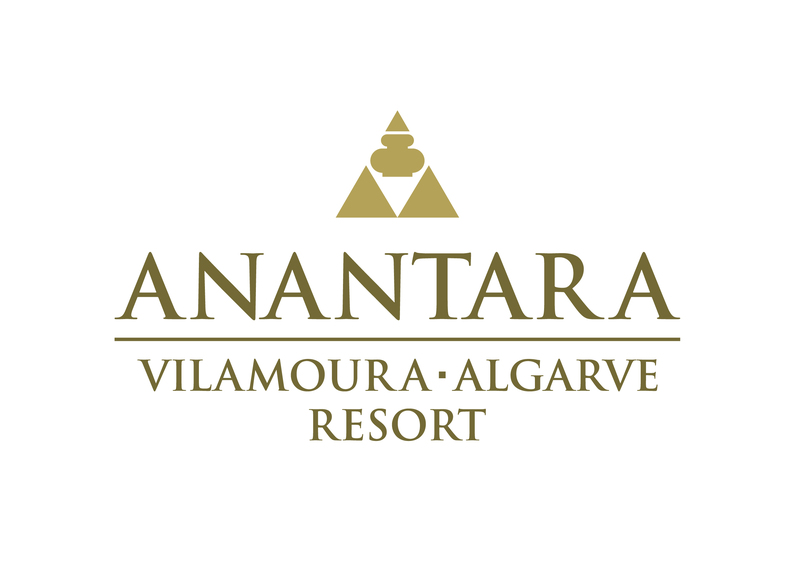 At the ANANTARA Vilamoura Algarve Resort, the guests will experience the finest Algarve & Portuguese culture in every sense. The experiences will be inspired by the Algarve Tastings, Aromas, Freshness and Sound. To replicate these inspirations in the hotel service experience the guests will find three ANANTARA Gurus: Experience Guru, Wine Guru and Golf Guru. The guest will also be embraced by the resort Butler service including sunshine Butler at the pools which will ensure a personal touch to every stay. 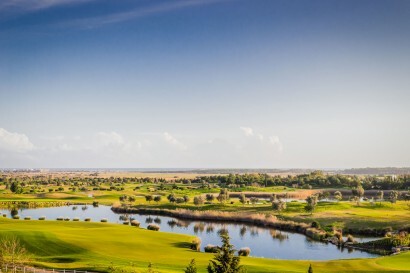 Just a 15-minute drive from Faro International Airport, The ANANTARA Vilamoura Algarve Resort is located in a premium area of Vilamoura on top of the most popular golf course of Portugal which holds for 10 years the Portugal Masters. Vilamoura is currently the most trendy location in the Algarve, mainly to its marina which was recently awarded (December 2016) the best Marina in Europe. Vilamoura is a jet-setter haven of luxury yachts and prestigious golfclubs, designer brand shopping and casino nights out, upscale restaurants, cafés and bars. The lifestyle and atmosphere of Vilamoura is completely different from everywhere else in Portugal and that is why it known in Portugal as the “Capital of wellbeing”. Anantara is located close to the ocean, marinas and beaches of the Algarve and boasts stunning views of the Arnold Palmer- designed Oceânico Golf Course. Anantara Vilamoura Algarve Resort’s unique signature appeals are matched by the distinct discovery of the Algarve. Famed as one of Europe’s mosts ought-afterholiday destinations, this southern most region of Portugal boasts a coastline of pristine beaches, sandy coves and breath-taking cliffs, white washed fishing villages and castletowns, olive groves, wineries and golf courses. 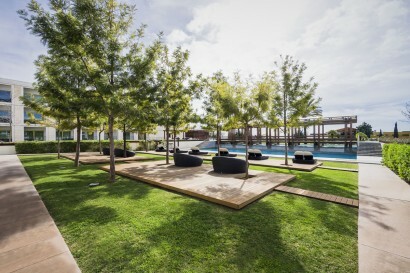 A bastion of Algarve prestige, guests can take advantage of a sophisticated retreat that feels naturally exclusive and offers unique destination experiences. Guests can discover the well-kept secrets of the Algarve with a myriad of activities and guided excursions, including a tasting tour of the ubiquitous Ria Formosa with oyster shucking and freshly prepared seafood from a local fisherman; or escape to the countryside with a local guru who transcends your afternoon into a historical adventure through the local villages and towns surrounding the area, uncovering the fascinating origins and history of agricultural treats such as almonds, figs, oranges and olives. Be fitting its location overlooking the championship Oceânico Golf Course, Anantara Vilamoura boasts a one-of-a-kind, Golf Guru, ensuring golfing holidays are not only seamless but perfectly tailored to each golfer´sneeds, what evert heir handicap. To make holidays a truly relaxing experience for parents and one that kids will remember forever, Anantara has partnered with World Wide Kids Company, the resort childcare specialist. The new Adventurers Crèche welcomes babies from 4 months of age and the Adventurers Kids Club welcomes children from 4 years to 12 years old, is fully equipped with everything for youngsters to have fun enjoying arts, cooking classes, open air cinema, adventure safaris and more, in a purpose-built club under the professional care of well trained staff, allowing parents to relish some quiet time alone. Teens up to 18 years old will be able to make new friends and play it cool at The Hub, as well as take part in golf clinics, football acedemy and the dance academy. One-of-a-kind penthouse opulence is the height of desirability. A superb terrace overlooks rolling golf greens and a telescope provides a close-up view. A second rooftop deck invites you to soak up the sun on loungers, relax in the Jacuzzi and dine high above it all. Drinks flow from the private bar withsurround sound music playing. Lounge and dine in designer style. Host VIP meetings and dinner parties. Or seclude yourself away with a whirlpool bath and our best signature amenities. A portable fire place gives you extra warmth in the living room or outside on the balcony. With a personal butler, everything younee disinstantly tended to. Elevated moments of laidback serenity and luxurious pleasure in an expansive Victoria Suite. Two walk-in closets, and a separate living and dining area oﬀer an even greater sense of modern elegance and seclusion in paradise. Recline on a daybed in the shade of a private balcony. Nestle into evenings with such charms as a removable fireplace, butler service, and video-on-demand. Sink into the purest definition of beachside enjoyment. Retreat after tee time to the ultimate Algarvian hideaway boasting excellent amenities and exclusive Anantara benefits. A spacious layout of 80 square meters provides ample room for family or friends traveling together, with a sofa bed that can sleep, two children. Soak up the scenery from the daybed of your private lounger. Let butler service take care of in-room dining or other leisurely whims after a long day on endless greens. Surround your family with bold contemporary luxury in one of our Family Suites. Take advantage of an expansive sanctuary featuring your choice of a double or twin beds and a sofa bed that perfectly sleeps two little ones. Connect to nature lounging on the daybed of your private balcony, gazing out across lush golf greens. Unwind after vibrant sunny days with video-on-demand or evening turndown surprises, sinking into shared bliss. Create holiday memories with family and friends in our Family Room, oﬀering the pinnacle of luxury. 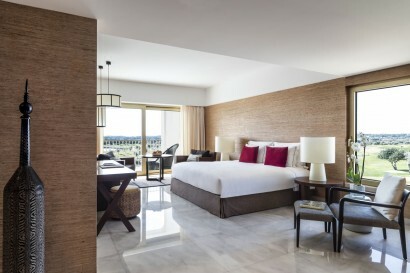 Spacious luxury and thoughtful touches invite you to lounge, stay connected and entertained with all the comforts you could wish for. Turn on the coﬀee machine and radio to start the day energized. Freshen up with luxury spa products in the rain shower. Play iPod tunes and laze in a robe. Draw a long hot bath, mix drinks at your bar and relax on the balcony daybed. Wind down after a vibrant evening out with a TV show or film. Sink into the perfect pillow. Such a beautiful view of garden nature deserves relaxing over, and a balcony provides the perfect panorama, with a daybed to snuggle up on. Catch up on naps, emails or the lates tmovies, as the whim takes you each day. Make coffee and tea as you prefer, or something stronger at the bar, to enjoy the music playing. Shower off the day or soak in the tub. A plush bed and pillow choice are waiting to cocoon you. Nestle into you rbalcony da ybed to soak up a beautiful pool view. Inside, luxury blends elegant comfort with the ease of modern amenities. Catch up on news, movies or emails. Soak in the tub with music on, or refresh under the rainshower. Wake up with a morning brew, and wind down later over drinks from your bar. Spruce up your attire with an in-room iron and ironing board. Put your reading light on in bed and turn the page till you fall asleep on your favorite kind of pillow. Rolling golf greens provide a lush natural backdrop to authentic luxury. 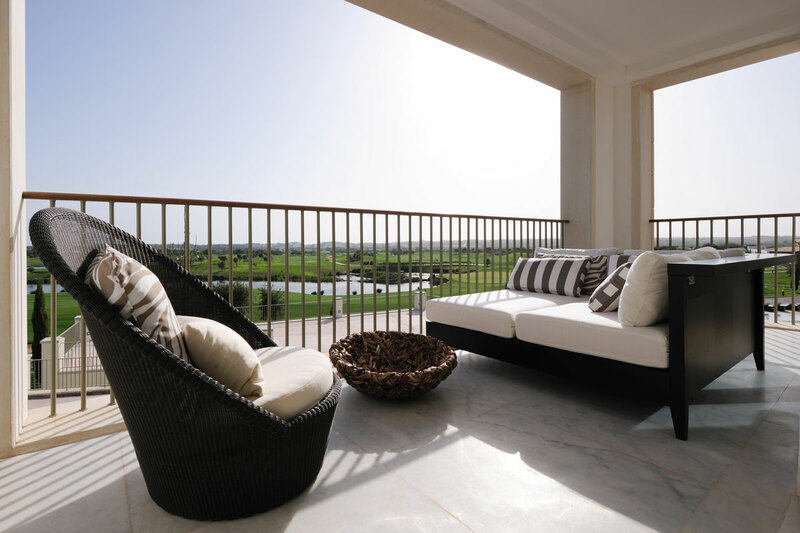 Admire the fairways from a cushioned daybed on your balcony, or from deluxe comfort inside. Signature amenities and personal touches are designed to entertain, connect and ease your stay. iPod tunes and the radio play with surround sound. Great movies are at your finger tips. 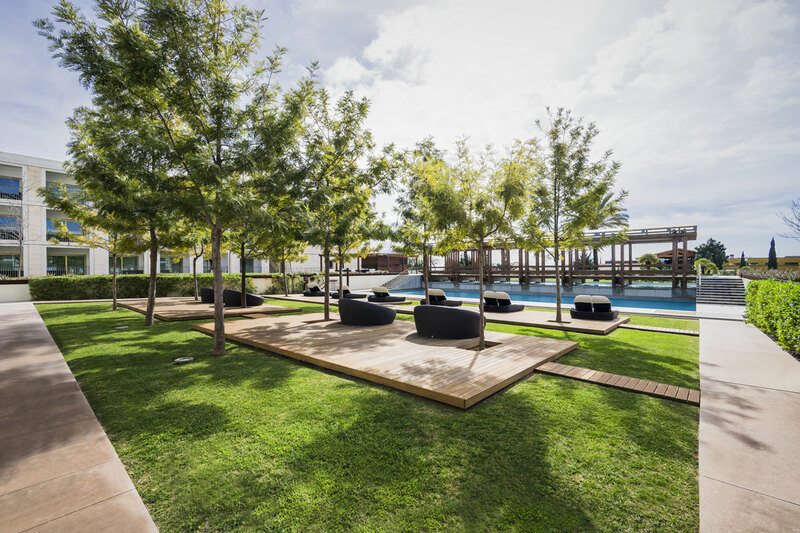 Luxury spaces entice you to relax, refresh and indulge – providing a welcoming haven between exploring the Algarve and Vilamoura’s charms. Cuisine: Snacks, afternoon tea, beverages, and tapas. Meet up in a welcoming retreat, in the heart of the hotel. Relax in contemporary lobby lounge comfort with a beautiful fairway view. Find tastes to suit your mood and time of day. Sip TWG prestige teas and iced tea swith a good read from the library section. Refresh with healthy mocktails. Delight in afternoon tea. Sinkin to plush sofas to enjoy tapas and petiscos Portuguese tapas. 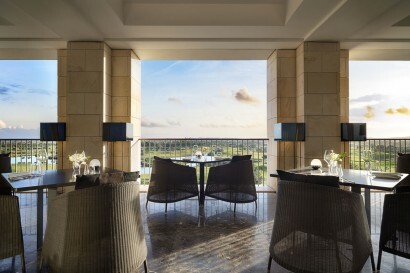 Relax before dinner, whetting your appetite with signature cocktails and a wide range of wines bythe glass. Let the conversation flow till late over night caps. Casual, gourmet buffets bring flair to local and global flavors with chef show stations – joined by an appealing à la carte range. Morning’s bustle with artisanal Algarve touches at the Anantara Breakfast – from international classics, freshly squeezed juices and energising healthy tastes, to fresh bakery goodies and premium coffees. Each night’s themed buffet offers a rich array of signature chef creations – teasing the palate within triguing variety. Cuisine: Fine Dining Portuguese cuisine with contemporary flair. Our wine-oriented restaurant feels warmly refined and is truly a regional debut. Orchestrating a sumptuous evening, our Executive Chef and Wine Guru pair a perfect symphony of indigenous flavors. Local cuisine is richly celebrated and ingeniously updated with the latest culinary trends. A history of spice trading discoveries is wovenin to innovative creations. Made to order sharing dishes bring convivial enjoyment. Immerse in emotive dining, complemented by more than 350 expertly selected wines. Savor atmospheric evenings on the terrace with a superb golf course and sunset panorama. Reservation recommended. Cuisine: Refreshing drinks, Champagne, and snacks. Pool days flow with decadent bubbles, refreshing drink, and tasty bites. Bask on poolside loungers, cooled by energizing mocktails and refreshing drinks, served by our Sunshine Butlers. Nibble on gourmet snacks or enjoy a light lunch menu. Retreat to a shady cabana and let us pop the cork on achilled bottle of Veuve Clicquot. Socialise over cocktail o’clock at the bar. Cuisine: Refreshing drinks, Champagne and snacks. 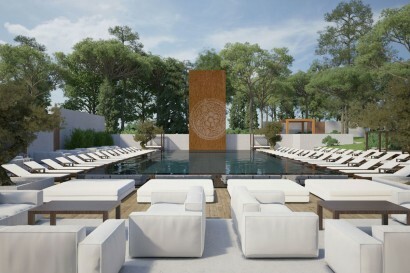 Find tranquil seclusion at the adults-only pool, until the sun goes down. Call upon our Sunshine Butlers to keep you refreshed and revived with your favorite tastes. Soak up the rays on a sunbed – an iced drink or juicy mocktail in hand. Satisfy cravings with a menu of tantalising snacks. Dry off after a cool afternoon dip to sip bubbles in a Veuve Clicquot cabana. 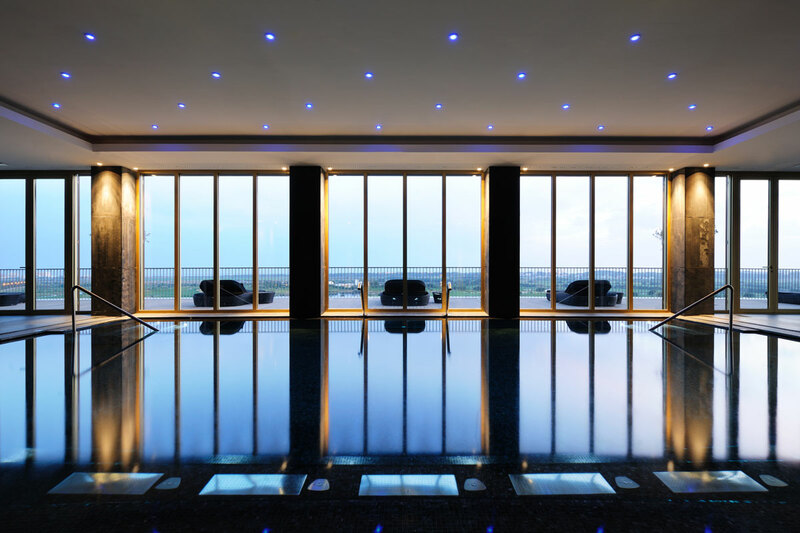 Ascend to an oasis of pure indulgence and sensual calm. Relax in a fragrant haven of exotic essential oils. Soothe your mind with lush golf green views. At Anantara Spa Vilamoura, award-winning spa luxury draws on the healing traditions of the world’s richest wellness cultures. Feel renewed by centuries-old Mediterranean therapies, holistic Ayurveda rituals and exotic Asian treatments. Advanced spa wisdom nurtures dynamic results for sleek, vibrant beauty and intrinsic wellness. Each journey is tailored by the pampered touch of highly skilled therapists. Personally prescribed treatments incorporate lavish elixirs to restore radiance, relaxation and wellbeing. Signature experiences, unique to Anantara, elevate spa exclusivity. 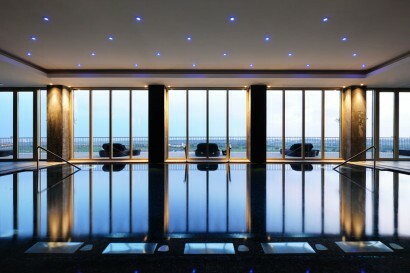 •7 Treatment Rooms, Indoor vitality pool, Sauna, Steam room and Fitness Suite. 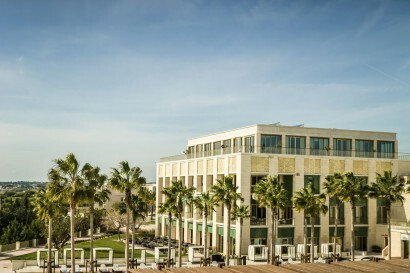 Anantara Vilamoura Algarve Resort boasts one of Vilamoura’s largest conference and events centers. Unique spaces blend classic elegance with world-class facilities and tailored services. Our experienced event team perfects every detail behind the scenes – allowing you to flawlessly showcase your business or celebration. Host a congress for as many 950 people. Stage an intimate cocktail party to charm a privileged few. Throw a banquet that is remembered long afterward for its impeccable cuisine and entertaining edge. Executive boardroom meetings are ensured privacy and VIP treatment. Product launches excite and inspire key talking points. The grandiose of a large scale function is enriched by personalized enhancements. A signature of luxury in the Algarve, Anantara Vilamoura Algarve Resort blends classic romance with Anantara’s tailored approach to unique celebrations. On yours special day, wedding backdrops glisten with the Algarve’s promise of over 300 days of sunshine and picture-perfect blue sky. One of Vilamoura’s largest event centers provides an inspirational choice of venues. Exquisite, personalized touches complete your dream wedding – whether that is a simple, intimate celebration with your nearest and dearest, or a lavish big day to impress guests flying in from all over the world. Bespoke and unforgettable in every exquisite detail, Dining by Design promises the ultimate in privacy and taste. Browse our connoisseur barbeque and Algarvian cuisine menus. Collaborate with your personal chef to fine-tune any of the dishes. Allow our knowledgeable Wine Guru tore commend the perfect vintage from our impressive cellar. Select your private dining retreat for a family gathering or romantic celebration from a choice of spectacular settings. Arrive to find a beautifully decorated table and a butler to fulfill every need. Stretch out your enchanting evening, toasting sunset as an appetizing prelude. Much more than a cooking class, Spice Spoons stirs the senses and delves deep into Portugal’s classic gastronomy scene. Begin your culinary adventure with an immersive taste of local life, exploring the famous Loulé food market with our master chef instructor. Craft your menu from a collection of age-old recipes. Learn the traditional techniques of Portuguese cuisine in a richly interactive cooking class in an open theatre kitchen. Elevate your food and wine pairing knowledge with a Wine Guru experience at Victoria Restaurant – selecting the ideal vintage to complement your lunch of the dishes you’ve created. Head home with new skills to delight family and friends, as well as a Spice Spoons shopping bag of cooking accessories and recipe cards. Anantara Experience Gurus are famous for their in-depth knowledge and passion for their destination. They craft experiences that make the most of the regions events and places of interest. With our Wine Guru, guests discover the lesser-known wines of this centuries-old wine country, and they can attain their true golfing potential with the help of our Golf Guru. Teenagers have a dedicated Guru for their own golf clinics and dance academy.